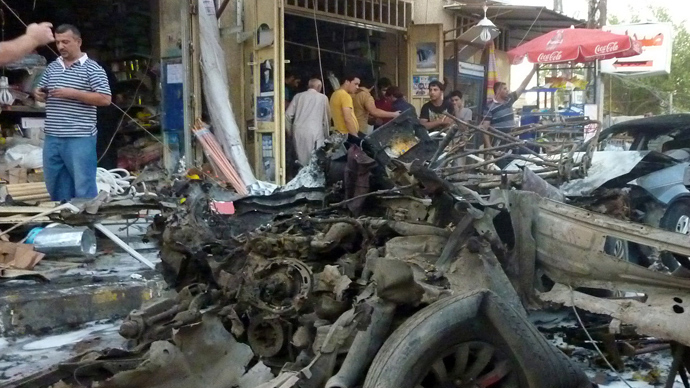 The number of casualties in a series of bomb blasts in the Iraqi capital, Baghdad, has reportedly reached 86. A total of over 263 people were also injured. 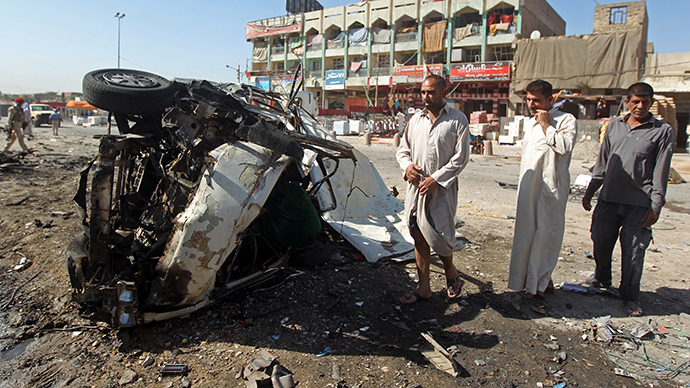 Iraqi officials say the bombings were coordinated attacks. 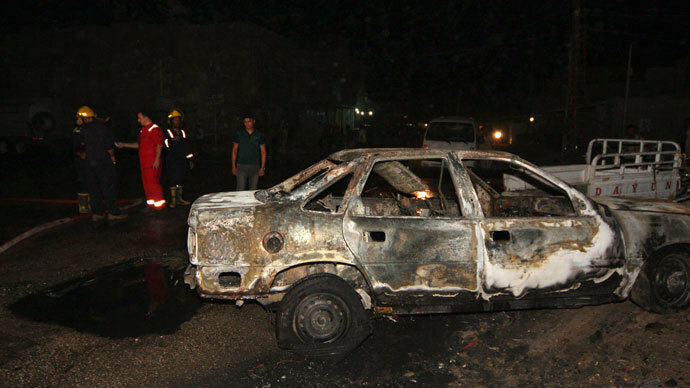 In Sadr City, car blasts left 19 people dead when cars parked next to restaurants exploded, sources told AP. The neighborhood of Kazimiyah, was hit by two bombs that exploded in a parking lot, followed by a suicide car bomber who killed observers at the scene of the first incident. The attack killed 10 people and wounded 27, according to police and Reuters sources. In other attacks on Wednesday, gunmen killed six members of al-Sahwa at a checkpoint in Latifiya, 40 km south of Baghdad. Another six people were killed, according to police and medical sources, when a gunman stormed a family home. 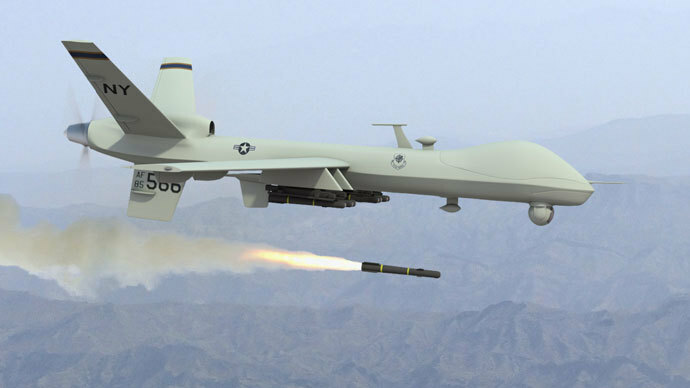 Four soldiers were also killed on Wednesday in Madaen by a roadside bomb that targeted an army patrol. No one has claimed the responsibility for the attacks but authorities suspect the Iraqi branch of al-Qaida to be involved. The extremists often target Shiites whom they consider heretics. Less than a week ago, bombings across Iraq have left 32 people dead, with the deadliest blast hitting a busy café in Baghdad, killing 26 people and wounding 55 others. Earlier this month, multiple car bombings in twelve separate car bombings targeting markets and shopping streets have left 80 people killed, and 200 others injured. At the end of July, 17 blasts have killed at least 60 people and left more than 100 others wounded. 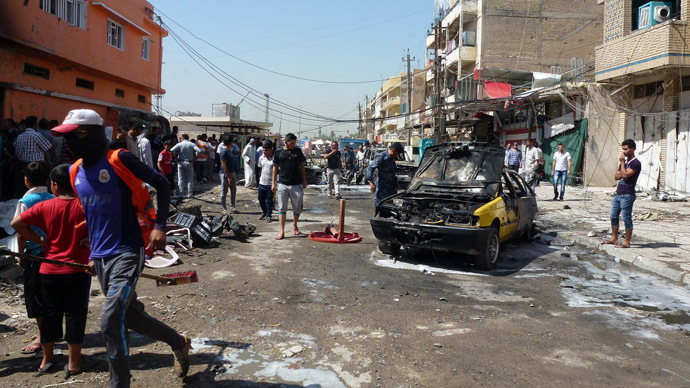 All in all, over 1,000 Iraqis were killed in attacks in July, the worst monthly death toll since 2008. Tensions have ratcheted up in Iraq between Sunni and Shiite Muslims over the past year, with Sunnis claiming they are being marginalized by Prime Minister Nouri Maliki's Shiite-led government. Attacks have especially increased since a deadly crackdown by security forces on Sunni riots in April.